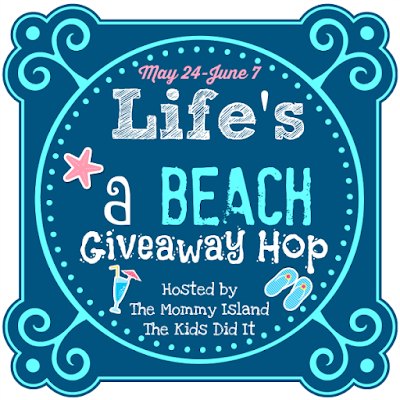 Welcome to our stop for the Life's a Beach Giveaway Hop hosted by The Kids Did It & The Mommy Island. 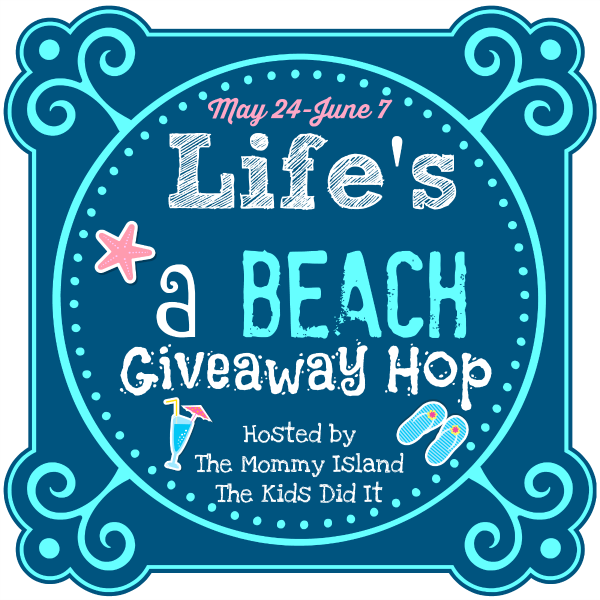 Once you are done here check out the other blogs and their giveaway! 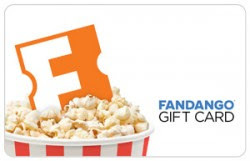 Ours is a $25 Fandango Gift Card! We all love movies in the summer! We're looking forward to going camping a lot this summer. Not really a fan of summer...got a lot to read though. Sleeping in & going to the movies or whatever my boys want to do. I'm looking forward to going fishing with my boyfriend. I am looking forward to a lot of swimming this summer. I am looking forward to going to concerts. I am looking forward to seeing my family! I am looking forward to resting and visiting my new great grandson. I'm looking forward to going camping! I am looking forward to doing a lot of camping. I am looking forward to SWIMMING!!! I love it! I act like a kid when I hit that cold water. My kids swim away from me! haha God bless everyone! I'm looking forward to my first trip to NYC! I'm looking forward to going to Rollercon, a roller derby convention in Las Vegas. I am looking forward to having my sister and her kids come to visit this summer! Thank you for the chance to win! I'm looking forward to spending some time at the beach! Looking forward to drifting in the pool. I am looking forward to traveling to the beach! I'm looking forward to more reading time. I am looking forward to family barbecues. Going to the Zoo with my grand daughter and going swimming. Traveling...we have quite a few short trips planned, most with extended family members. Looking forward to going to the beach. I'm looking forward to spending some fun time with my kids! Im looking forward to visiting amusement parks! Im in process or moving to Beijing, China! I am looking forward to more reading time and going swimming. I am excited for a family reunion for 4th of July! I'm having surgery on my previously broken foot, I'm not really "looking forward" to it, but I am looking forward to being able to eventually walk without pain! I am so looking forward to vacations. seeing the new jason bourne movie! I am looking forward to doing a lot of hiking and swimming this summer. I'm looking forward to spending lots of time on our boat. Going to Washington for our family reunion!!! I'm looking forward to attending a Rob Zombie concert in August. Thanks. I'm looking forward to swimming with my children. i'm looking forward to our annual beach trip! it's short, but it is sweet!! I am looking forward to surprising two of my little brothers with a trip to the movies! Looking forward to going to Disney in August for my daughter's birthday. I cannot wait to take the boat out for the first (of many) time[s] for the summer! Beach m beach and more beach! Love living in coastal south Florida! I am looking forward to trying to catch up on my TBR pile of ebooks. I am looking forward to getting a nice safe tan. I am looking forward to celebrating my mom's 80 birthday with family and friends. We are looking forward to taking the kids on a family vacation to see there grand parents. I'm looking forward to taking my kids to Wild Waves this summer. I'm looking forward to vacations, camping and going to the beach. I am looking forward to my sister's annual big bbq bash. I'm looking forward to my son's graduation party. I am looking forward to moving into the condo I just bought. I am looking forward to a trip to Atlanta this month, then Maine and NYC in August.